What does your 4WD weigh? What does your 4WD weigh? Does it need to go on a diet? I’m very curious to know how many of you know what your 4WD weighs with no gear in it, and when it is loaded up for a trip away. In Australia, all 4WD’s come out with a GVM, Pay load, GCM and Towing Capacity. If you exceed these, you risk damaging your vehicle, having an accident and voiding your 4WD insurance. So, how many of you know what your GVM and payload is? I’ve spent a bit of time looking into this, and have been very surprised with the results. Your pay load is the amount of weight you can add to a standard vehicle before it becomes illegal. Anything that is necessary for the operation of the vehicle is part of the tare mass, and anything above this is part of your pay load. This includes the weight of your passengers, the tow ball weight of a trailer (if you are towing) and all of your accessories and luggage. This is a very important piece of knowledge for those who own a 4WD. GCM stands for Gross Combination Mass, and is the maximum weight your vehicle and what you are towing can be. Generally this is in between 3 – 6 tonnes for a 4WD. Every vehicle comes with a set towing capacity. Anything you tow must be under this weight. Be sure you factor into account whether the trailer has brakes or not! 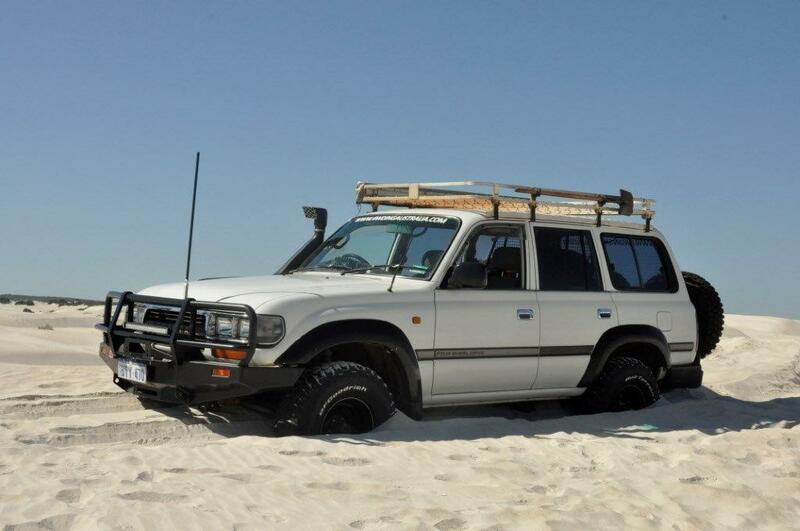 So, the above can be a bit tricky to get your head around, so lets look at our 80 Series Land Cruiser for example. You can get these figures from http://www.redbook.com.au for your own vehicle (just find the right model; its easy as). If you take the Pay load (865kg) from the GVM (2960kg) you are left with 2095kg. This means the 80 Series Land Cruiser when empty weighs 2095kg, and you can add 865kg of weight to the 4WD. Everything that adds weight comes from the 865kg, including passengers, fuel, water, accessories and also very importantly, the tow ball weight applied when you are towing a trailer. If you are towing, you must be under the GCM (5460kg), as well as the GVM. If you want a clear guide to stay legal, check this out – A simple towing guide for keeping your 4WD and trailer weight compliant. Add just the above up, and you are looking at 885kg. That’s not to mention the many other common accessories and other gear regularly found in a 4WD; rear bar, second spare, generator, Maxtrax, fishing gear, upgraded suspension, larger tyres, firewood, solar panels, scrub bars, work lights, LPG bottles, ratchet straps etc! If you are towing a trailer, the tow ball weight is deducted from your payload. The average trailer would have a tow ball weight of 50 – 300kg. Most 4WD wagons have a payload of in between 500 and 800kg, and utes are up around 800 – 1200kg. This means that many would be cutting it very close, or be well over the maximum GVM. I will quickly mention that every vehicle also has individual axle ratings. This is to ensure that when you load your 4WD up, its done evenly. You can’t just use the full payload at the rear of the vehicle. Find out what your axle ratings are, and don’t exceed them. It is easily possible to be over your rear axle weight but underweight overall. What does it mean if I exceed the GVM, GCM, Towing Capacity or axle ratings? 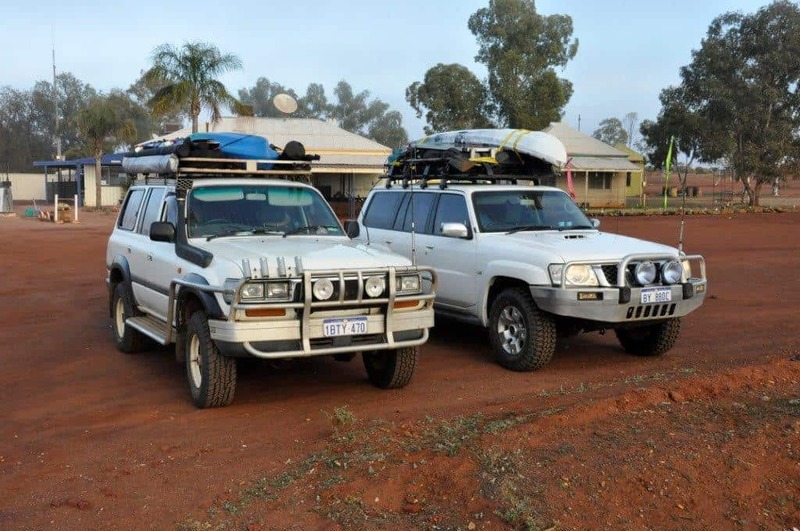 The most important thing to note is your insurance ONLY covers you and your 4WD when it is driven legally. If you exceed any of the acronyms above, you risk voiding your insurance. Beyond this though, you put more stress on the four wheel drive than was intended, and risk doing damage (suspension, chassis, driveline). 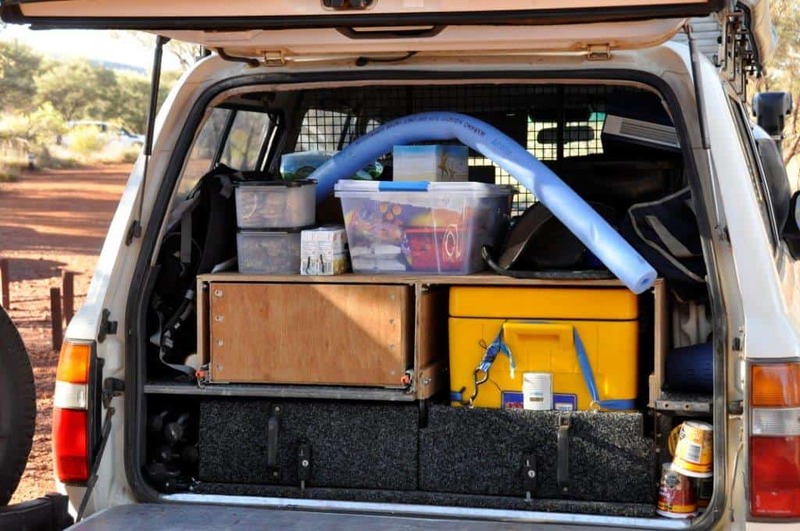 What’s in the back of your 4WD? You use more fuel, lose the intended handling ability and have a harder time off road. 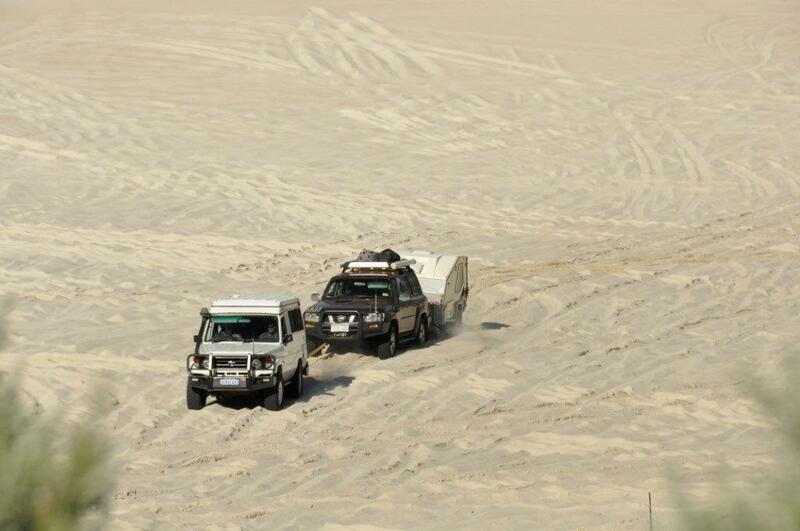 The vehicle does more damage to 4WD tracks, and your risk of getting a puncture or other damage is increased. The risks are serious, and if you cause an accident that can be attributed to your vehicle being overweight, you can go to jail and/or pay huge fines and medical costs. 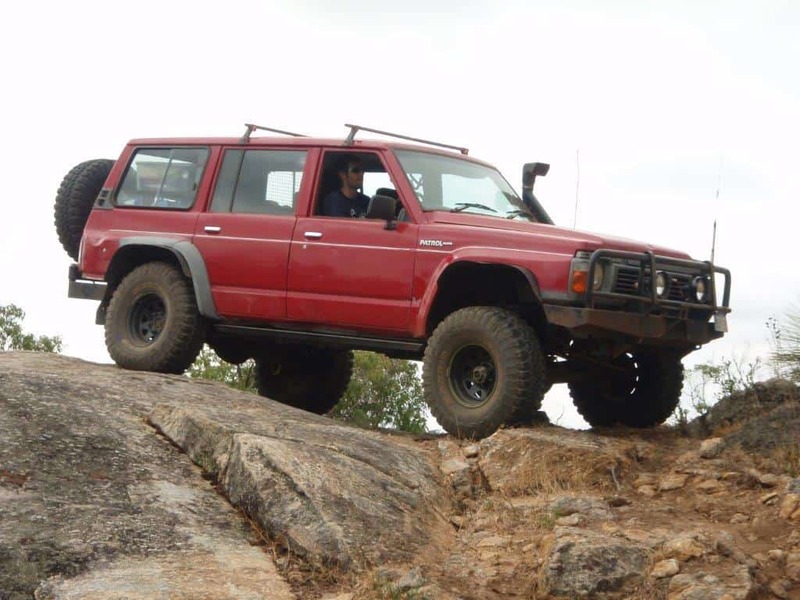 If you type in ‘4×4 Bent Chassis’ into google images, you will see how many 4WD’s have had serious damage done to their 4WD’s. Often this is due to overloading or air bags on leaf sprung vehicles, but a vehicle with a lot of weight will put serious stress on the chassis and surrounding components. Bent chassis tend to be most often on dual cabs, where there is too much weight behind the rear wheels. I took a photo up north of a hired 4WD camper, which I almost fell over when I saw. If you own a dual cab ute, check this out – Is your dual cab’s chassis likely to bend? Don’t think like that. You don’t want to get caught. If you do, chances are it would be after an accident when something horrible has already happened. I have heard of mobile weighing stations being set up over east. Just like it is imperative that you know what modifications are legal on a 4WD, you must know how much it weights too. These aren’t light to start with! I’d encourage everyone now to sit down and make a list of everything in their vehicle, and add the estimated weights up. Then, jump on Redbook and enter your vehicle in, which will tell you what the GVM, Pay load and GCVM are. If you are concerned about it being close to the limit, take it to a local weighing station and get it done properly. Any quality suspension shop should be able to upgrade your GVM. There are kits that can be purchased for most modern vehicles from ARB and the like which will give you a bit of a boost. However, if you have an older vehicle the only way to do it is to see an engineer, and get it customized. GVM upgrades often only involve replacing the suspension, but may also include upgrading the brakes and various other components. You can take a look at the GVM upgrade on our Dmax here – Isuzu Dmax GVM Upgrade. Does your GCM go up? Something worth noting is that your GCM will not normally go up if you get a GVM upgrade. This has been done in the past, but it is a grey area at the moment that the authorities are shutting down. This poses a very serious problem for those who tow heavy trailers. Effectively you gain some pay load, but you reduce your towing capacity! It is possible to get a GVM upgrade done on a brand new car before it is licensed. If this is done, then the modifications go on the licensing paper and you have much less hassle than trying to do it after the vehicle is licensed. I know a lot of people have done this with the 200 series Land Cruisers, which come with a pay load of 645kg. If you put 5 heavy adults in the vehicle, you really haven’t got anything left to play with! What are my options if I can’t get a GVM upgrade? As I mentioned above, if you can’t get a GVM upgrade, you need to speak to an engineer. This is a costly route, and will put most people off doing it. Other than that, all you can do is limit what you carry, or get a different vehicle. Touring in a 4WD; is it really possible? 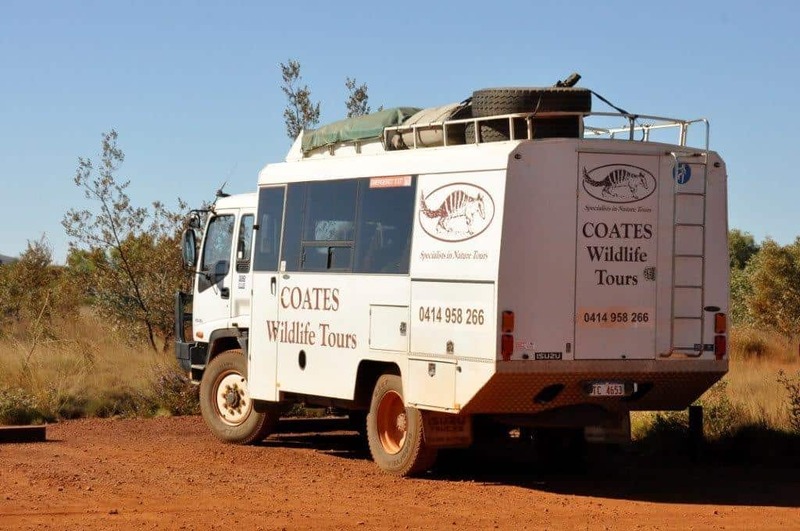 I believe the large majority of 4WD’s in Australia that are traveling on holidays for more than a weekw ould be overweight, or very close to it. When you step back and look at everything that one carries, it’s seriously easy to be over. 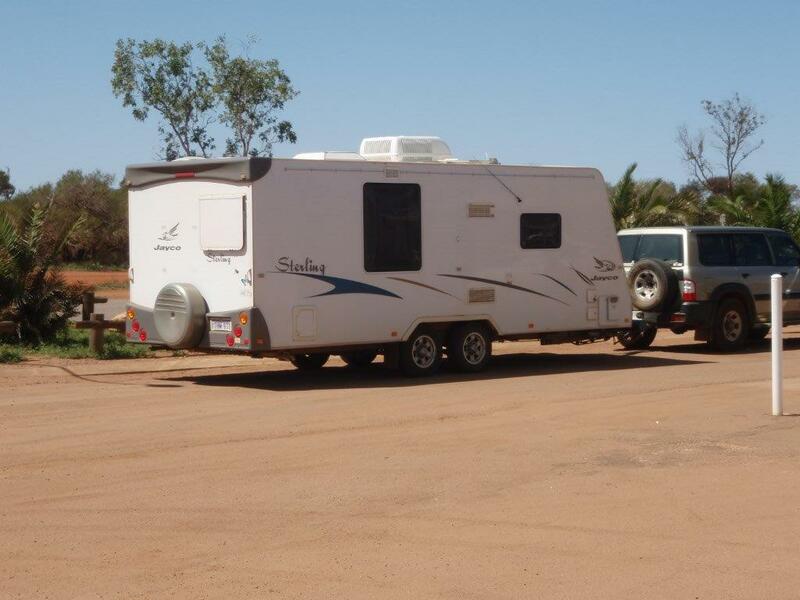 If you are travelling for more than a couple of weeks at a time, you really need to tow a trailer, which means you can spread some of the load. No doubt some Utes would be under their GVM, but I don’t think it would be by much. Maybe we all need these! If you know what your 4WD weighs with all of its accessories, along with its pay load, let me know below. I’d love to know what situation you are in! G’day Arron. That’s a good article on GVM/GCM. Another interesting thing to note is individual axle loads. Meaning you have to pack the vehicle correctly or risk overloading either front or rear (and this can happen even if under GVM). But I digress. I think anyone that tours just has to stick one’s head in the sand. I weigh bridged my diesel pajero last year before my simmo trip. Full fuel (150L) and myself in the RH seat, I was 2620Kg (too many accessories no doubt). I still had to pack the car add the fridge and add 1 adult + 1 child. So with a GVM of 2810Kg, with the 2 pax, I have nothing left to play with. I don’t even want to think of my individual axle loads. Of interest is that with the vehicle fully loaded and the loaded camper attached, I was sitting somewhere between 4800 and 5000KG’s. So I still had +300 odd KG’s to play with there. Problem being both the car and the camper were over their respective ratings. Thanks for the reminder about axle loads; it’s something I didn’t think about, and no doubt very few people would know about too. I know what you mean about burying our heads in the sand, but it is concerning to think of what could go wrong. I reckon everyone needs a Unimog or Iveco Daily! Hi. I find the most aggravating issues relate to the basics, ie. solid good sense that you have highlighted here: most “enthusiasts” display total ignorance, arrogance, and negligent attitudes towards. Most don’t know the difference between a bowline and a granny-knot. If that is the LCD, the other matters you raise are completely beyond comprehension. The sad reality is that while a vehicle like the OKA should have a majority of market share in Australia, the efforts of the manufacturer were undermined and sabotaged by mining companies, defence force and the broader 4WD users because it was perceived to be gutless and overweight. The OKAs were among a small minority of vehicles that had a Payload capacity that was close to their Unladen Weight. Astonishing? Yes! But what do the vast majority of buyers in Australia do? They pay exorbitant prices to the enemy for obese metal monsters that have a payload similar to the average family sedan, then proceed to furbish them with accessories suited to a small house. Such users have no concept of the importance of “payload” let alone “unsprung weight”. I know several “engineers” who fit this outline, and seem to revel and display bravado about their experience on the knife-edge. The Senior management of companies like Toyota, Nissan, GM and Ford celebrate hysterically when the monthly sales figures of their largest vehicles are revealed, not because of their contribution to making better vehicles, but because of their continuous success in misleading the public, who will probably never realize the extent of their poor judgement. It is constantly baffling how the market for Land Cruisers, Patrols, and F-anythings remains strong when the quid pro quo equation is so blatantly skewed in favour of the manufacturers. It is my experience that most motorists have no perception of the GVM, GCM, Tare or Curb (Kerb) weight, or Payload of their own vehicles, and therefore are totally ignorant of the rest of the vehicle market. You make the point abundantly clear, that legality is a side issue, it is the complete lack of due concern about road users and vehicles that is of utmost importance. It should not surprise anyone that modern personal transport units are becoming increasingly autonomous with self parking, collision sensing, GPS-centric, computer controlled-and-maintained features, while the ability and skill accumulation of the average user plunges. I did the weight calculations in my Hilux and came in at 2.5t. When I went to a weigh bridge however, my vehicle actually weighed 2.64t! My GVM is only 2.78t. At the weigh bridge I had 65L water, full tank of fuel (75l), rear drawer setup (75kg), some tools/gear, and all fitted accessories. When I go on a trip however, I need to add the additional weight of food, fridge and slide, beer/drinks, extra drinking water, fishing gear, swag/chairs/table, firewood, additional fuel in jerry cans (40L), clothes/luggage, and my wife! It seems impossible to be under your GVM without getting a GVM upgrade, even with a payload of 860kg. I was considering getting a winch, rear bar, long range and sub tank, but now I’m reconsidering my priorities. Interestingly, when I checked the weight over the front and rear axles with just myself, bullbar, dual battery, side rails, rock sliders and bash plates fitted, I found that I was already 100kg over the maximum allowable load over the front axle. Once again, that doesn’t include the possible extra weight of a winch and my wife! I’ll consider moving the second battery to the rear to help a little here. I would encourage everyone to actually go to a weigh bridge to check their vehicle weight, not just do the calculations. I suspect for a start, that all the small things i.e. dash matts, rubber floor matts, seat covers, electronics, extra wiring, any ‘permanent’ tools like jumper cables and a second/large bottle jack are not ever counted in weight calculations, but can possibly add up to something worth considering when combined. Any ideas for weight savings? Considering removing rear chrome step, gear box bash plate (probably around 15kg), but I can’t think of anything else, other than my own gut which requires much more effort! Sorry to hear of your predicament, but at least you are aware of it and can do something about it, unlike many who have no idea and are at risk of major issues in an accident. You are correct; it is almost impossible to be under GVM for the normal 4WD as described, and 860kg is not a small payload either. I think you’ll find a lot of vehicles actually weigh more than what they say they do, and remembering that the empty weight does not include a full tank of fuel – its only about 10 – 15 litres from memory. You can remove items, but I bet you will still be over – the only real solution is a GVM upgrade, towing a trailer or getting a different vehicle. Some drawer systems are very heavy; you could look at removing/modifying that, but I suspect you are fighting a losing battle without one of the above. I faced the same issue with my Dmax, which has nearly an 1100kg payload once the tub was removed. I never planned on getting a GVM upgrade, but ended up going down that path as I had no other option.